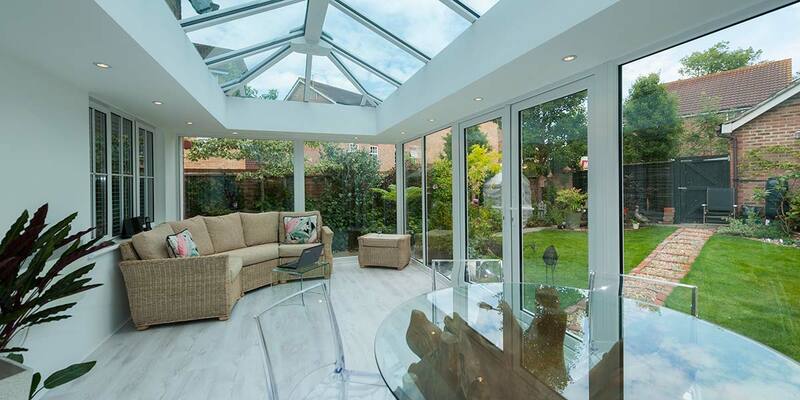 Let glass take over your conservatory design if you want optimum transparency and the most captivating outdoor views. 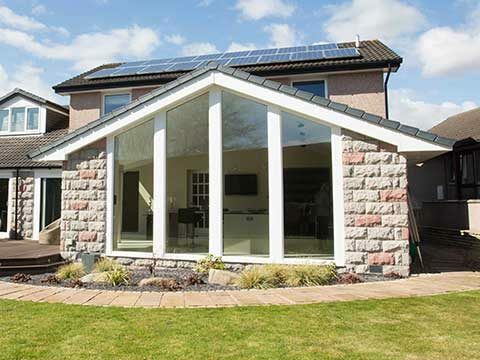 In times gone by, conservatory owners would be left cursing the glass utilised in their design as it would cause their extension to overheat in summer. 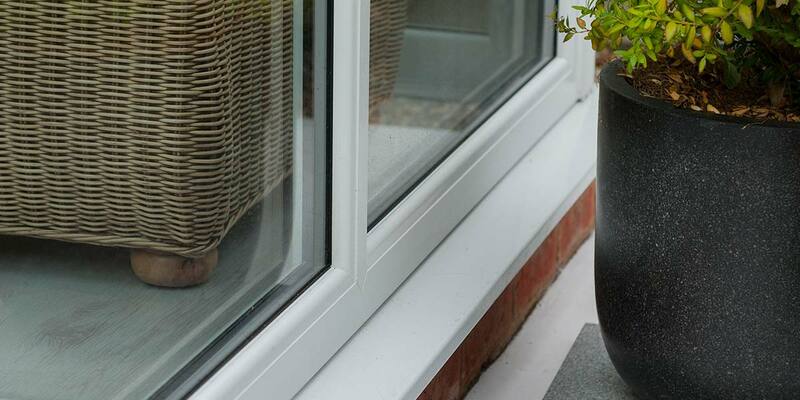 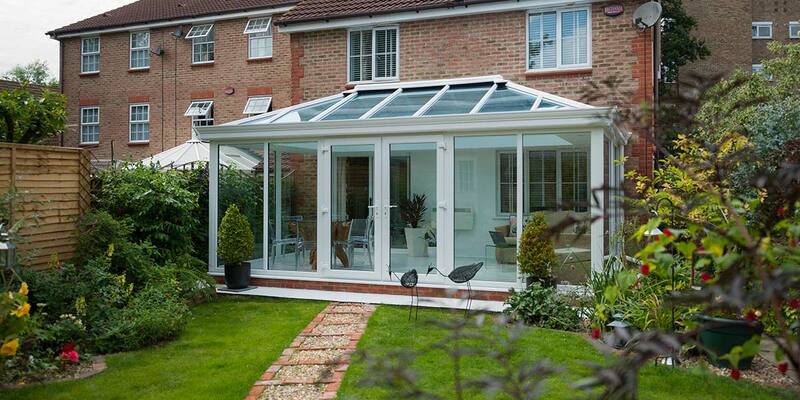 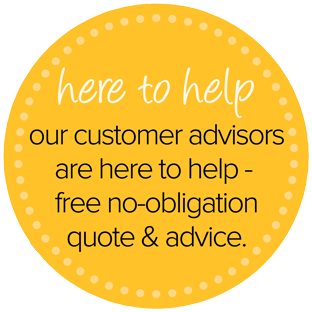 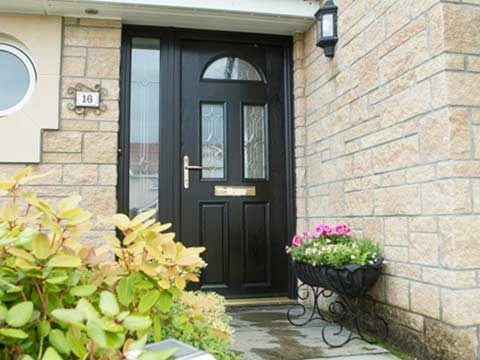 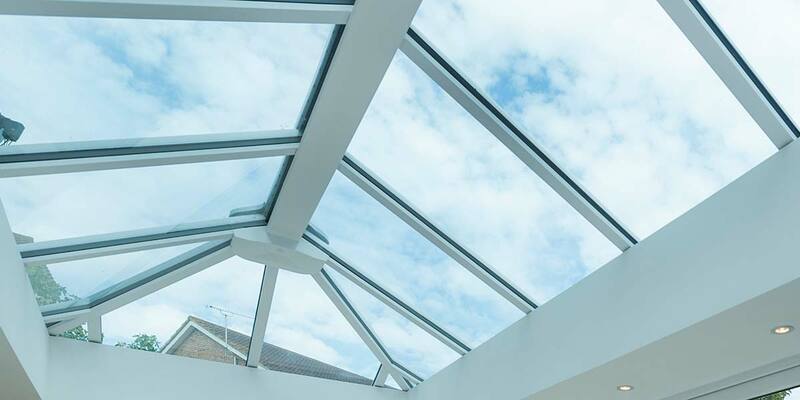 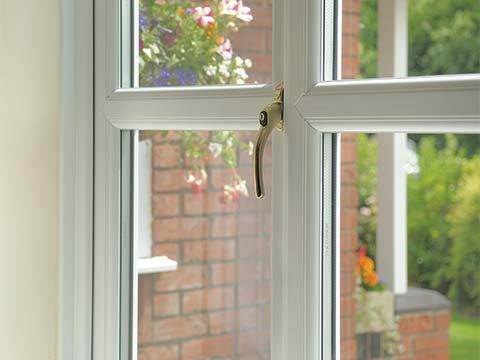 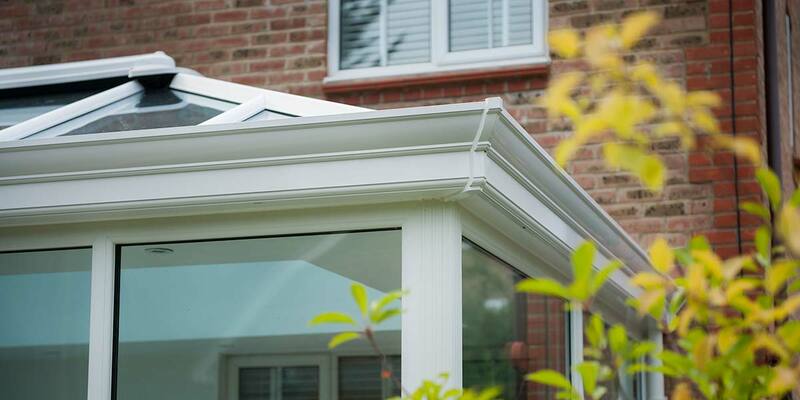 Thankfully glass technology has progressed and we’re now able to create conservatories completely dominated by glass that offer perfect thermal efficiency in even the hottest conditions. 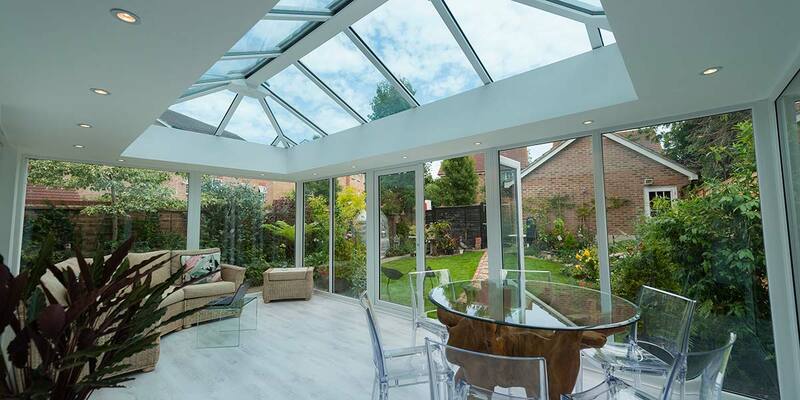 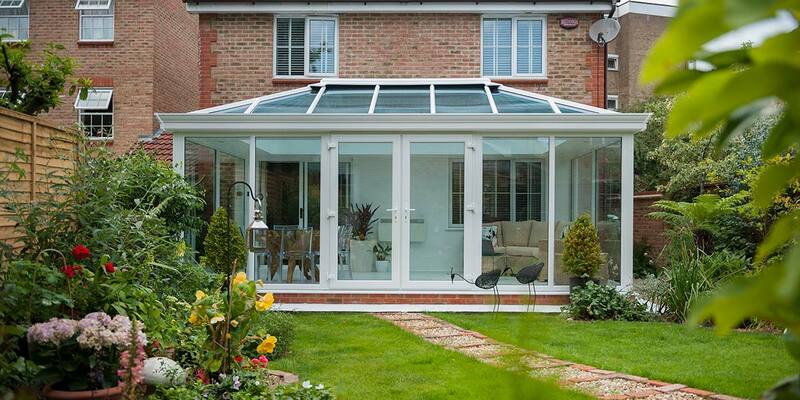 A glass-to-floor conservatory like this can adjust and cope with warm weather, making it a comfortable setting in all seasons, even in the most sweltering of summers. 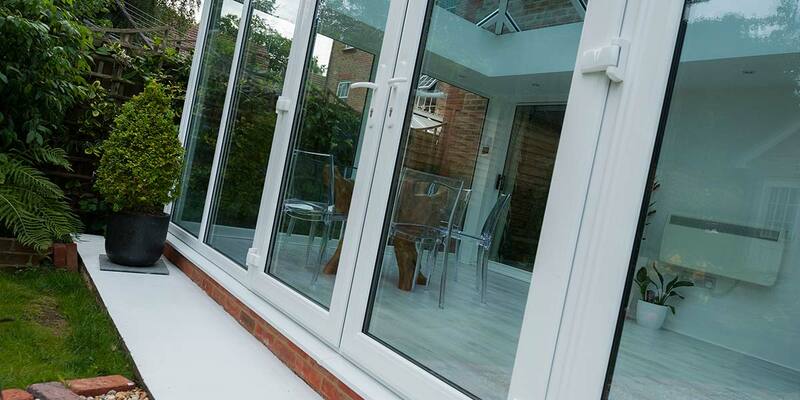 On the rare occasions that the weather makes the occupants want to swap environments, they can just use the French doors. 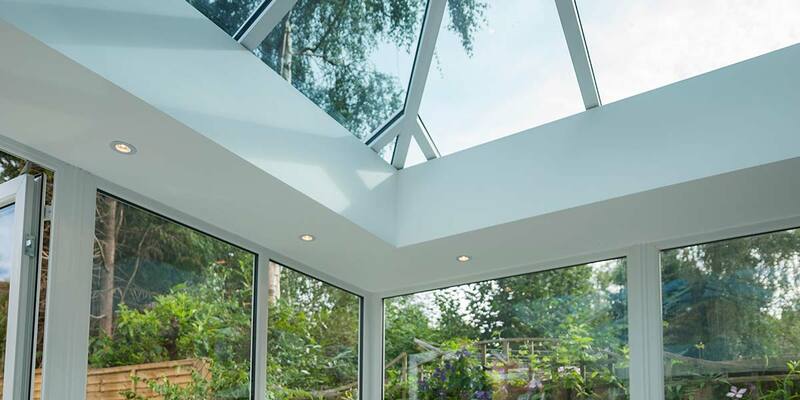 Putting spotlights in the internal perimeter pelmet was a wise decision as it makes dining, lounging or working possible once the sun sets. 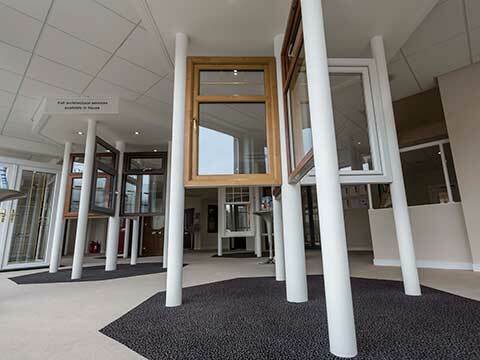 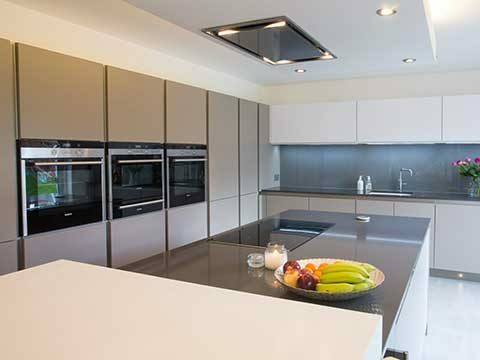 A further bonus of the perimeter pelmet is that it could then accommodate full-height glass panels. 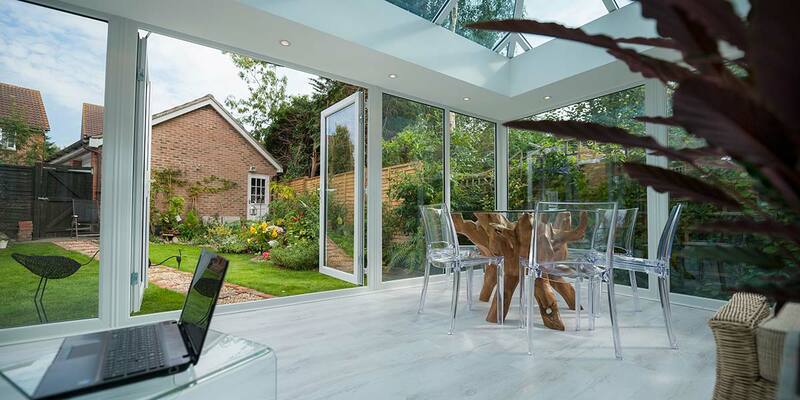 These glazed panels run almost the entire length between the minute brickwork base and the roof covering to give a glorious view of the outdoors. 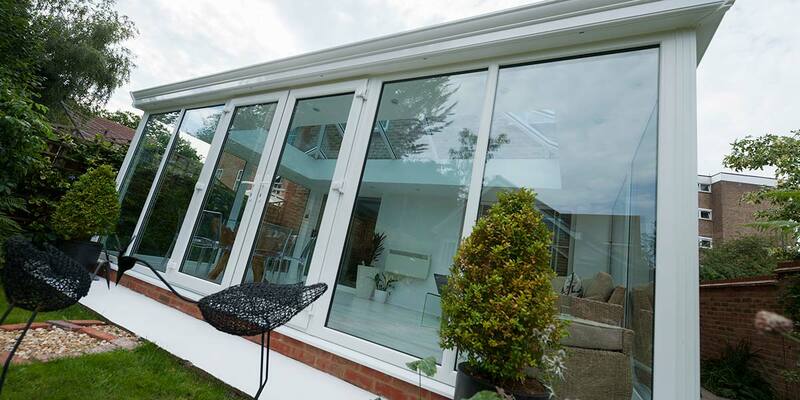 That view is enhanced further once the French doors have been opened from a closed position and pushed outwards. 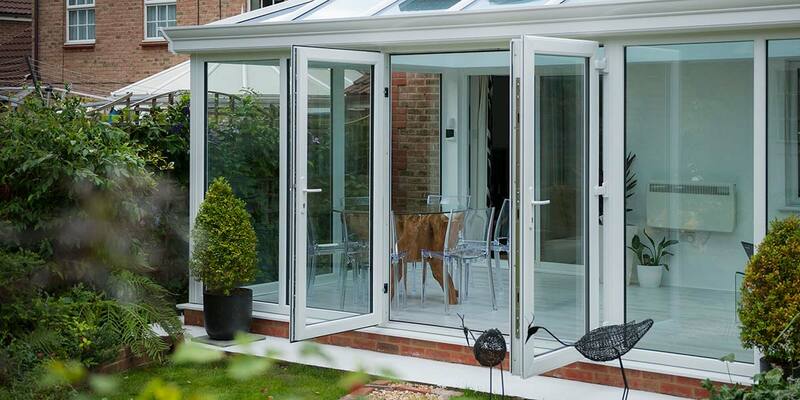 Manoeuvring them open will obviously enable cool air to circulate indoors from the outside, but we reiterate that this exquisitely glazed conservatory promises coolness in any weather.